"People live by nameing things." You sometimes want to name a different name from others. To the petals that had fallen on the roadside. To the building group wrapped in the blue sky. To the kiss who really did not like it. You can sometimes impress your name on someone. To a lover I believed. To a third party who does not know anything. There is nothing of the same name. I don't know the heart of people. You can stay as it is. 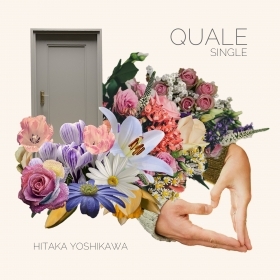 "Universal gravitation is the power of loneliness that attracts you"
Yoshikawa Hitaka debut 1st single.